Video art is often a challenge. How engaging is it? How long will it go on? What do we make of it? This exhibition called smash is a great success for me. 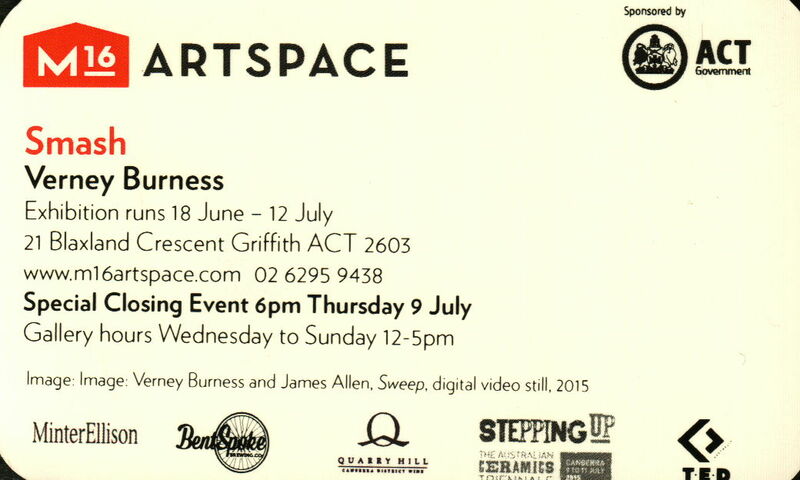 Two works are in the gallery – Sweep and Smash. Sweep is a grand cosmic vision that takes in the universe and long time spans. Smash is a work in which objects of various sizes and styles are smashed down on on a black plastic covered hard surface. It is a fascinating experience to be watching these two works on 90 degree angled screens. Brain is doing lots of stuff watching such different experiences in close proximity. Have a look at the page at M16 to see the image of Sweep. No images as my movies do not load well on WordPress.